Snappii :: Check out Snappii’s New Report Feature! Check out Snappii’s New Report Feature! At Snappii, we make it a point to equip ourselves with the tools that our customers need. We’ve been getting many requests for a way to recover forms after they have been sent. 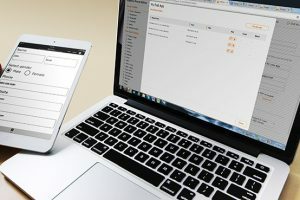 Users needed a way to see their forms in an organized manner, and sometimes emailing your finished forms to your personal email just wouldn’t cut it. 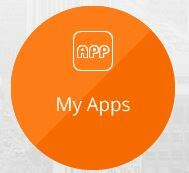 If you haven’t used Snappii before, think of us as a workshop for creating apps. We provide you the tools, and you put together the app you’ve always been thinking about. If you’ve seen a feature in an app before, there’s a good chance we already have it and can apply it to your creation. 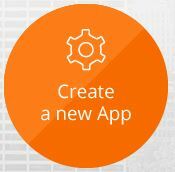 To try out making an app yourself, click here. If you want to submit an idea for a quote, click here and the sales team will get back to you as soon as possible. After months of planning and development, we are finally ready to roll-out an all new feature to the Snappii toolbox. As of yesterday, all reports sent through Snappii’s apps will now be saved on our website, and can be accessed by logging into your account. The best part? They can be accessed from anywhere. As long as you have access to your account, you’ll be able to view and download forms that have been completed on that accounts apps. What’s the major benefit of this? For starters, you’ll never have to worry about losing a report. Snappii’s system works by sending a copy of the completed form to whoever the recipient is, as well as locking it to your account for review later. You can download it, or generate a URL to send as a link – both options are readily available. Keep in mind that this feature will not work unless you have an account with Snappii. If you don’t have one, click here to sign up! Once you’re into reports, you’ll see another list of all the reports you’ve done so far on that particular app. The table with divide it up by name, date and the user that created the report. On the far right, you will see the option to download your report as either a PDF, Excel or Word. These will only be available depending on the format you initially picked for the report. With this technology, a user will easily be able to find reports that have been made on apps, no matter when they were made. By dividing the reports by date and user it will also be easy to find reports that have been made in the past. This feature can be a life saver for some of our users, especially when they need to go back and find forms they may have done years ago. Reports will save for as long as your accounts active, so you can rest assured that your reports are always in safe hands. If you’re interested in trying out Snappii for your business, click here to ask our sales team about how they can help you take your business to the next level.